Please Cut Here: Programs To Help You Get Started With Video Editing! I've noticed that more and more communicators, public information officers and organizations want to get started with basic video editing, yet the choices (and complexity) of video editing programs can be confusing. Here's some basic information and software options to consider as you start creating your own great video content. 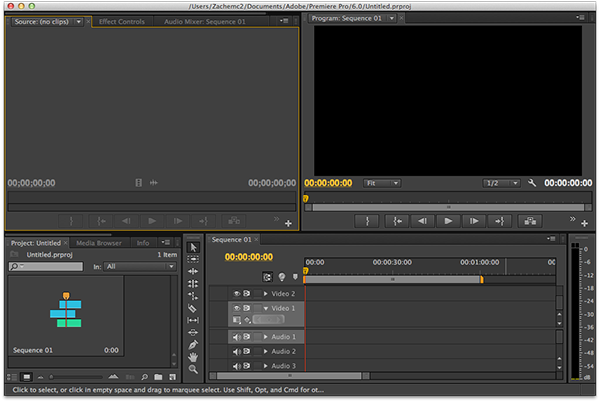 Typical editing timeline (Adobe Premiere Pro CS6). Most video editing programs are based upon a similar workflow: You import all the video clips you've shot with your camera into an editing "bin." You then use your mouse to drag clips from the bin into a horizontal editing space called the "timeline" and arrange the clips in the order you want them. You can trim the beginning and end of the clips so each starts and ends exactly where you want. The timeline has multiple layers, so you can layer "cutaway" shots over top of your main video track. Then, apply "transitions" (such as dissolves, wipes, or zooms) between the segments wherever you want to add special effects. Drop in some titles using the program's text editor, perhaps a music track, and you're ready to output your production to a YouTube-friendly format for distribution via social media. All programs do these basics, but the differences between a more expensive video editing program and a cheaper one come down to capabilities and professional features. A less-expensive program will be more limiting, but may in fact do what you need it to do to get started producing basic videos for your social media sites. Here are some free or relatively low-cost options for both Windows and Mac users. For PC, the most basic and best-priced (free!) is Windows Movie Maker 2012, which can be downloaded free from the Microsoft site. It requires a PC running Windows 7 or Windows 8 (which may pose an issue if you work for a government agency that still views Windows XP as cutting edge! In that case, download Windows Live Movie Maker 2011). Lightworks is an award-winning editing program that has a free version as well as a paid version with a $60/year licensing fee. Obviously, the free version has far fewer features, but may be a great way for you to get started. (Check it out here on the company's site, as well as in this review I found from ZD Net). A step up to low-cost purchased software would be Adobe Premiere Elements 11, a less-capable version of the full-featured Adobe Premiere Pro. (View info here on the Adobe site). It can often be purchased for around $80, or bundled with Adobe Photoshop Elements for around $125. I personally like this as an entry point, because once you realize how much you love editing, you'll want to go all Hollywood and advance to Adobe Premiere Pro CS6! Sony Movie Studio Platinum 12 Suite sells for less than $100. It uses the familiar timeline editing approach and has lots of effects and output options. (See it here). For about $125, Sony Movie Studio Platinum 12 Suite adds in additional transitions and more professional tools, including Sound Forge Audio Studio software (great for producing podcasts!). (See it here). 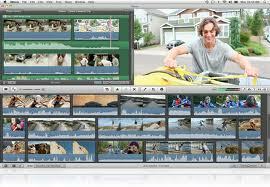 Sony does a great job with their software, and has a higher-end video editing product line called Sony Vegas. Cyberlink Power Director 11 has Deluxe, Ultra, Ultimate and Ultimate Suite versions ranging from $70-$225 (depending on what level of adjectives you're comfortable with!). For example, the $115 Ultimate version includes 22 effects from the highly recognized effects company NewBlueFX, as well as Cyberlink's own Creative Design Packs. (Check it out here). Other programs to check out, some of which sell for only around $50, include Corel VideoStudio Pro X5, MagixMovie Edit Pro, AVS Video Editor and Pinnacle Studio 16. For Apple users, there's iMovie 11. It's part of iLife '11 and included with every new Mac computer. Among its capabilities are templates that allow you to produce movie trailers, a fun feature when you're trying to build buzz on Facebook or Twitter for your organization's program, product or service. Unlike many other programs, the professional level of Apple editing is not super expensive. Final Cut Pro X is only $299, way below the normal $500-and-up price point for other pro-level programs. (See it here). Adobe Premiere Elements is also available for Mac (view info here). (I'll have more extensive information about Mac editing options in an upcoming post, but just wanted to mention a few of the top choices). Before purchasing any video editing program, it is essential to check the System Requirements for the product, and see if the computer you're going to run it on meets those requirements. I work with a lot of government agencies and associations, and generally find that the standard-issue computer from the I.T. department is not properly configured to give you a satisfactory editing experience. Video files are big, so you need plenty of hard drive storage (including an external drive or network location for backup), plenty of ram, a speedy dual or quad-core processor and a decent-size screen. You will also want to have Administrator access to your computer, because you need to be able to download updates, plug-ins and add-ons periodically to keep everything up to date and give you additional features. Here's the deal: Any software program you choose will have a learning curve, especially if you're starting from scratch and don't have experience editing. My preference is to stick with the major companies whose products range into the professional realm, such as Adobe, Sony and Apple. That way, as you (or a member of your staff) becomes more proficient at editing, there will be an upward path to a pro-level of the product without having to learn another entirely new interface. There is so much helpful free training on line that it is never hard to get a fast answer via Google search to a vexing question about how to accomplish a specific task with your editing program. I don't necessarily subscribe to the notion that low-cost, less-featured programs are easier to learn. Not every one is as intuitive as it could be or has the input of a vast user base of experienced users helping to make it better. It is very possible to install the full-featured Adobe Premiere Pro and just begin by using basic cuts, dissolves, and a YouTube export pre-set at first. Then, over time, you'll learn more features as you need them. Video editing a great skill to have, and if you handle communications for your organization, it is a capability that is absolutely worth learning - not only for the benefit of your agency or company, but to your career advancement as a cutting-edge communicator! Let me know how it goes for you, and be sure to sign up to receive my periodic free resources via my home page at www.KerryShearer.com .